1. Take karmatta(water spinach/kangkong)leaves bunch. 2. 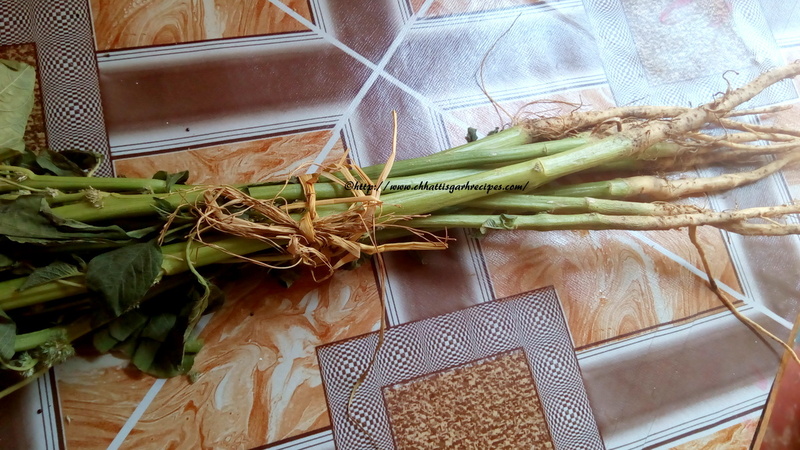 These leaves are long & soft, pluck the leaves, do the screening of healthy leaves and segregate them from the stem. 3. 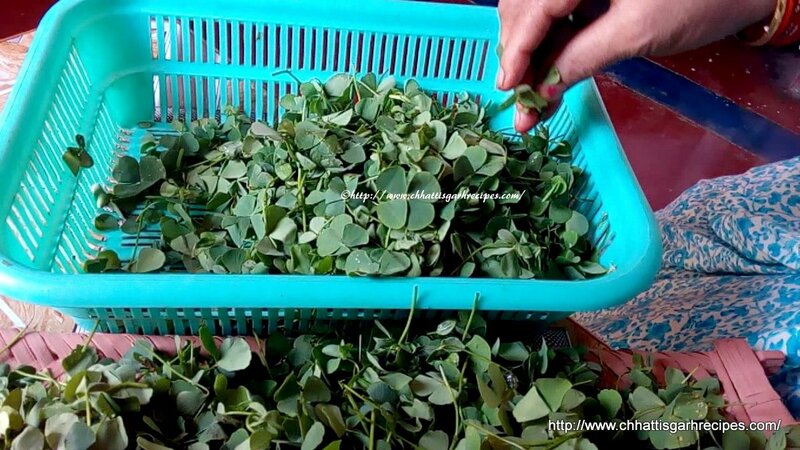 Once the process of plucking gets over, take water in a bucket or big pan, to wash the leaves thoroughly. Wash them 2-3 time so all the mud n soil will get removed. Sometimes it is grown close to mud areas, that why you will find a layer of mud on the roots. One has to wash the leaves multiple times. Take out the leaves from the bucket and keep in the basket once leaves are clean completely. 4. 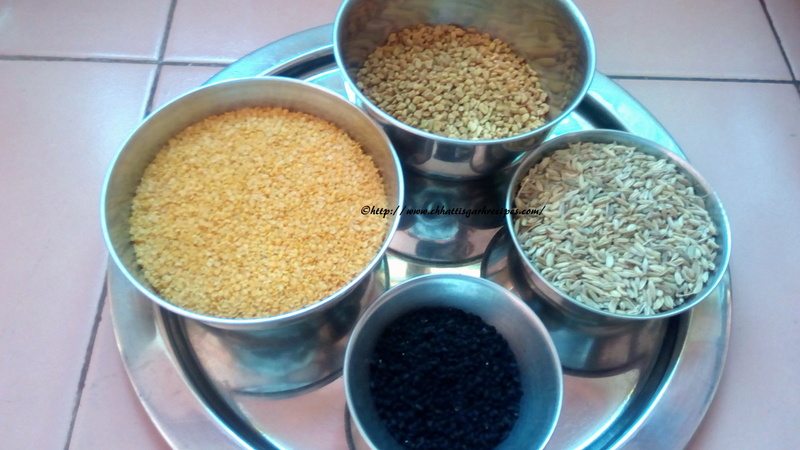 Now, take a handful of gram lentils, wash it 1-2 times and pour little water in a cooker. 5. 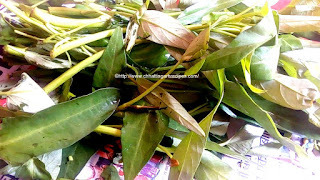 Transfer the Karmatta (water spinach) leaves in the same cooker and close the lid, put the cooker on the flame till 1to 2 whistles. Switch off the burner and now wait till cooker pressure comes down to normal. 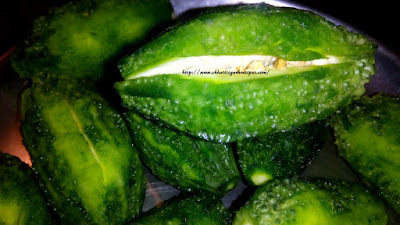 6.Meanwhile , take some dry chilies and 8-10 garlic cloves and chop them in small pieces. 7.Take 2-3 spoons of oil in a pan, once oil becomes hot, seasoned with chopped garlic cloves and red chilies. 8. 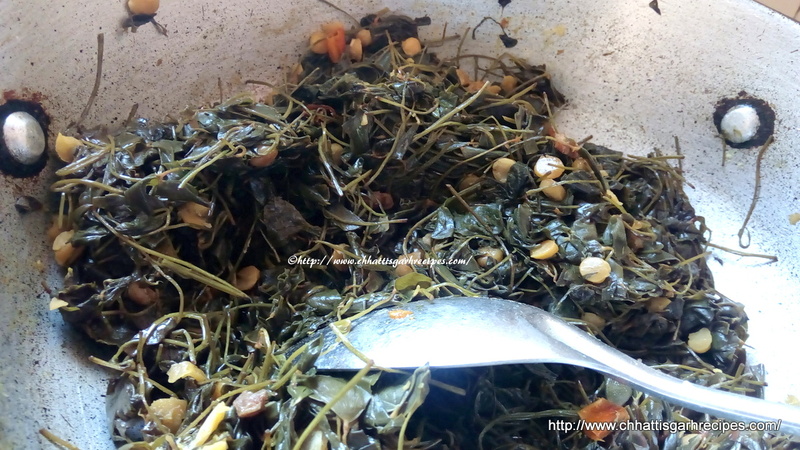 Open the cooker lid and check the boil leaves with gram lentils. 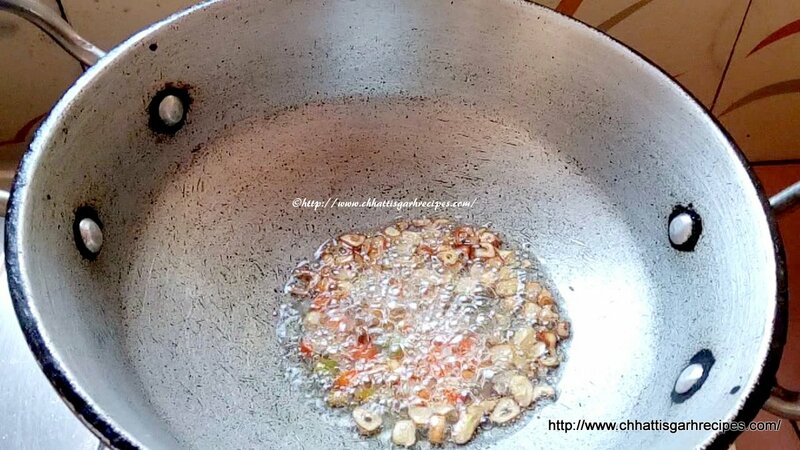 Now transfer whole preparation into the pan with the seasoning and blend it well. 9. 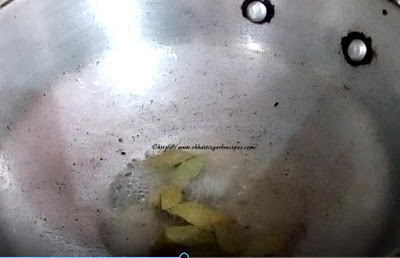 Now spread some salt as per taste and cover the lid of the same pan and cook for 4-5 minutes more, till the water gets evaporated. 9. 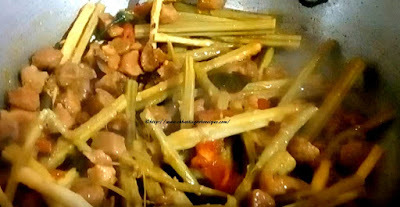 Open the lid and mix the leaves well again and switch off the flame. 10. 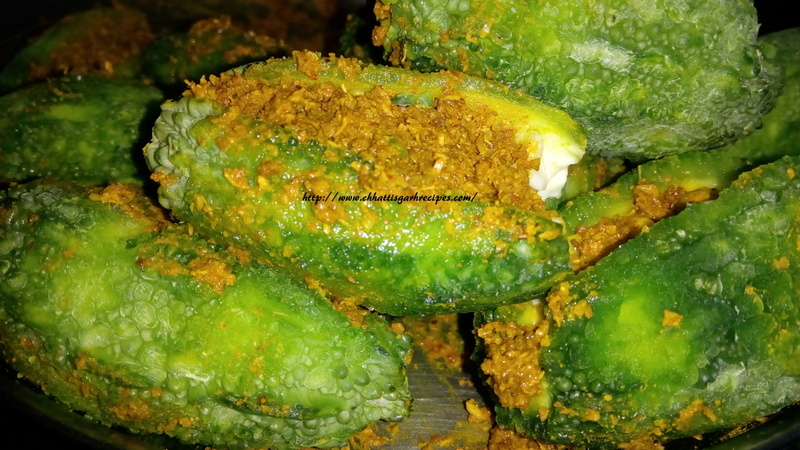 You can enjoy the authentic chhattisgarh cuisine of Karmatta bhaji which is quite famous internationally, as water spinach with steamed rice and daal. 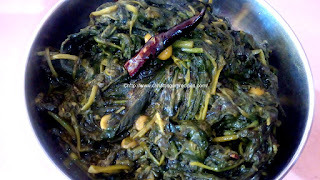 Note: Karmatta bhaji(water spinach/kangkong)is one of the signature leafy preparation from Chhattisgarh Recipes. 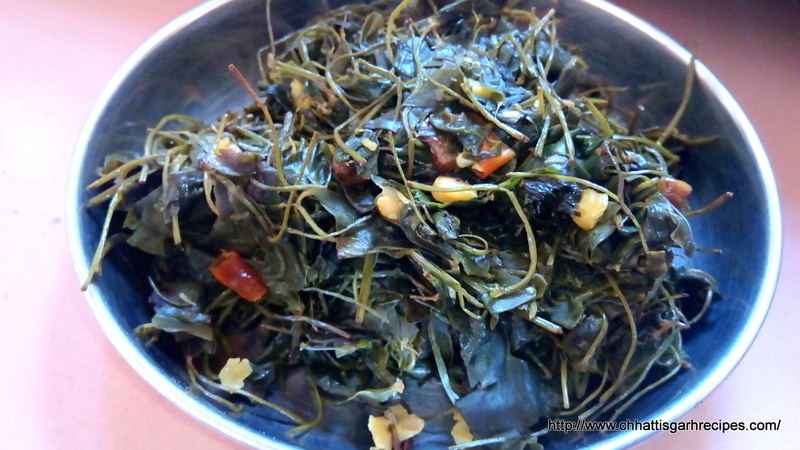 It mostly naturally grew close to water body like a pond but we should always use clean water for water spinach or kangkong .karmatta bhaji contains diabetes control quality. करमत्ता भाजी या किंगकॉन्ग या वाटर स्पिनच के नाम से दूसरे देशों में जाना जाता है। छत्तीसगढ़ में इसे बड़े चाव से खाया जाता है और गर्मियों में ज्यादातर मिलता है। इसे बनाने के लिए सबसे पहले अच्छे -अच्छे पत्तों को छांट लें और तने से अलग कर लें। अब जब अच्छे पत्तों को अलग किया गया है उन्हें पानी में डूबा कर २-३ बार धोएं ,जिससे उसमें चिपकी हुई सारी मिटटी अच्छे से निकल जाये।याद रखें जब भी करमत्ता भाजी खरीदें देख लें की बहुत ज्यादा मिटटी से लतपथ न हो हमेशा साफ़ सुथरी भाजी का प्रयोग करें और पूछ लें कि अच्छे पानी की फसल हो. 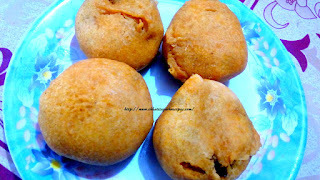 Nanki Badi/Mini lentil balls :Nanki badi is dry mini lentil balls.It is a great source of protein and made with black grams or green gram lentils (preferably dehusked).We can store it for years and blend with any vegetable curry.In Chhattisgarh people add nanki badi (mini lentil balls)in curd preparations like kadhi. 1. For this Chhattisgarh cuisine, take Chunchuniya leaves also known as Teen Paniya Bhaji. 2. 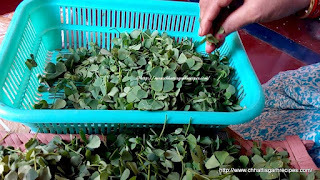 These leaves are very soft including its stem, do not pluck the leaves, we just do the screening of healthy leaves and segregate them. 3. 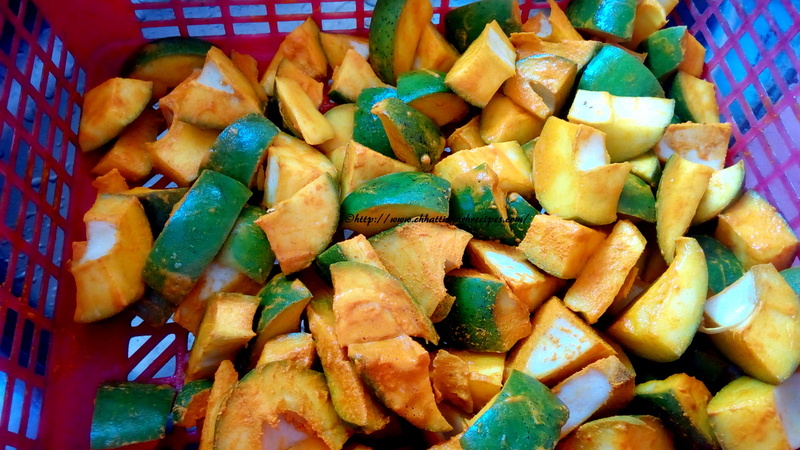 Once the process of segregation gets over, take water in a bucket or a big pan, to wash the leaves thoroughly. Wash them 2-3 time so all the mus n soil will get removed. Take out the leaves from the bucket and keep in the basket. 4. 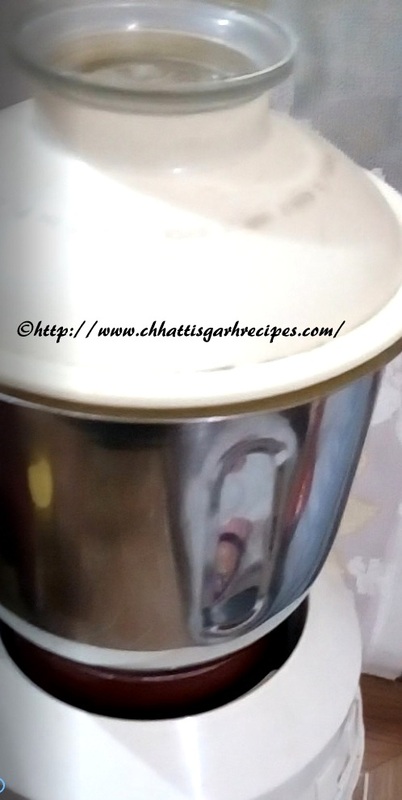 Now for this Chhattisgarh traditional food recipe, take handful gram lentil to wash it 1-2 times and pour little water in a cooker.O once you close the lid, put the cooker on the flame till 1-2 whistles. Now, wait till cooker pressure come down to normal. 5. 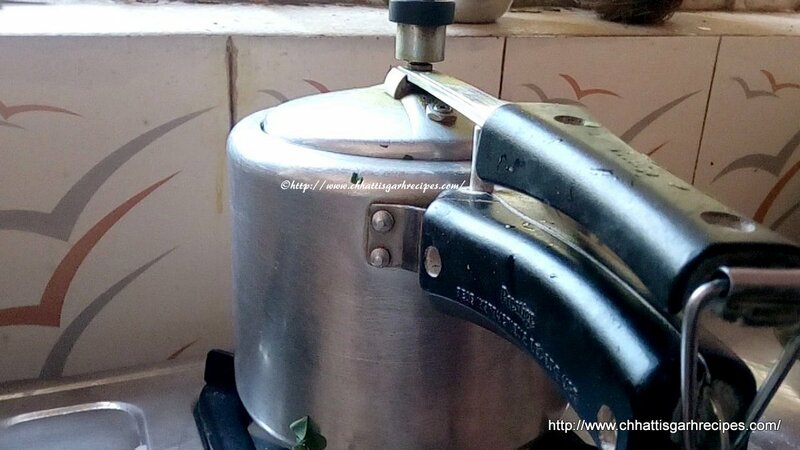 Now open the cooker lid, transfer the leaves in the same cooker with the boil lentils and give one more whistle again. 6. 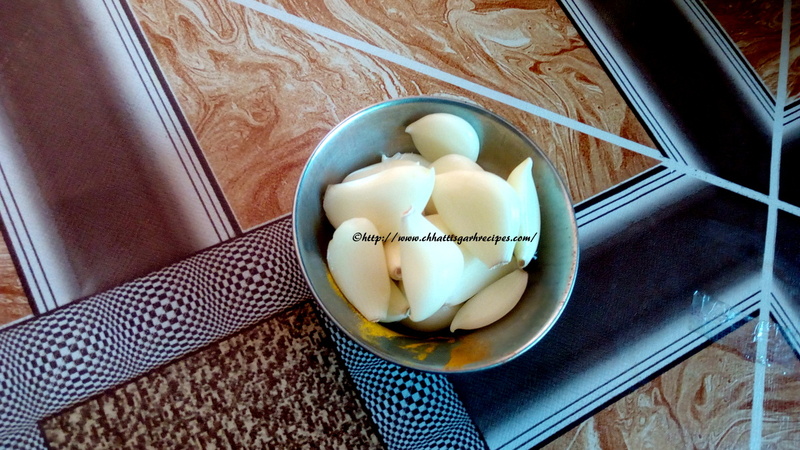 Meanwhile, take some dry chilies and 8-10 garlic cloves and chop them in small pieces. 7. 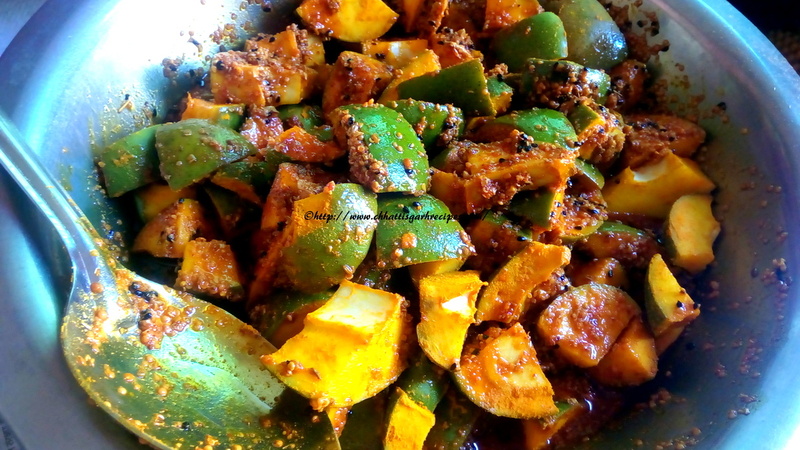 Take 2-3 spoons of oil in a pan, once oil becomes hot, seasoned with chopped garlic cloves and red chilies. 8. 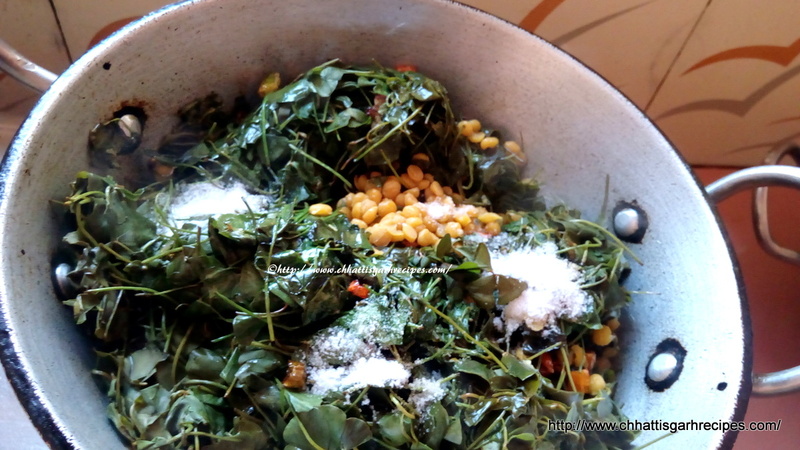 Open the cooker lid and check the boil leaves with gram lentils. 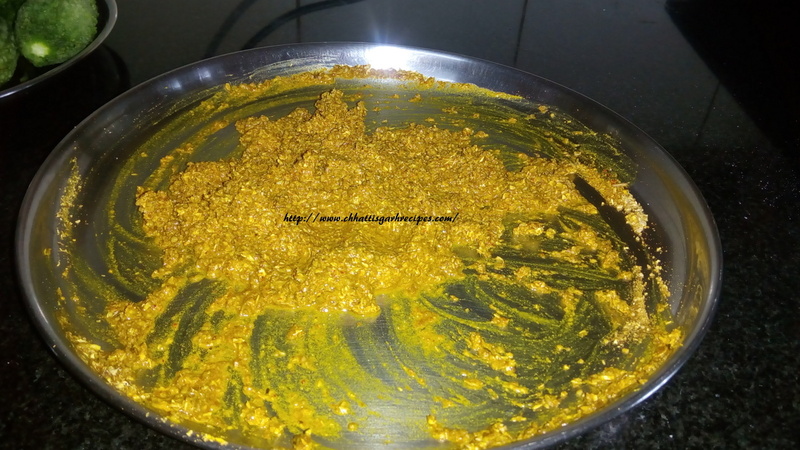 Now transfer the whole preparation into the pan with the seasoning. 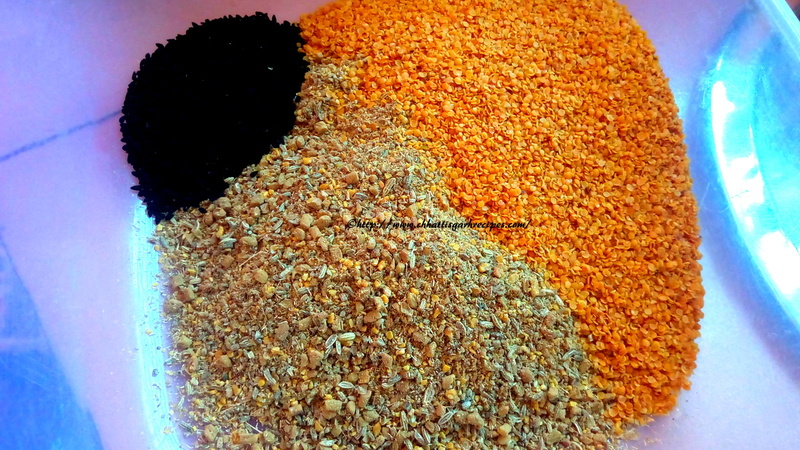 Mix them well so blending will be nice. 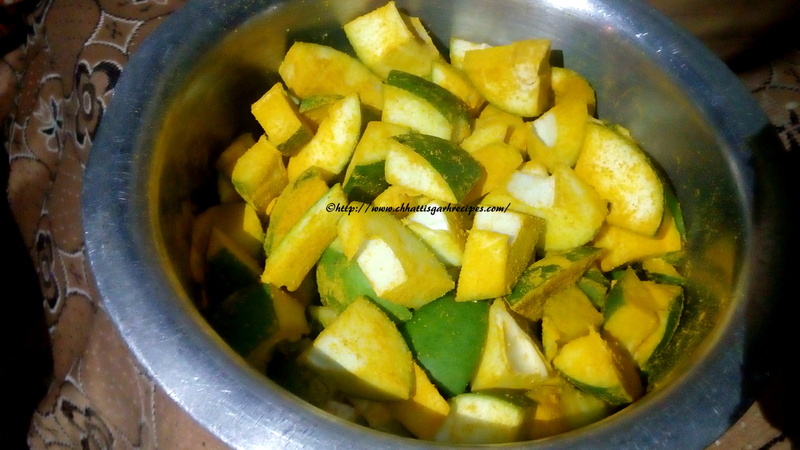 Spread some salt as per taste and cover the lid and cook for 4-5 minutes more. 9. Open the lid and mix the leaves well and switch off the flame. 10. 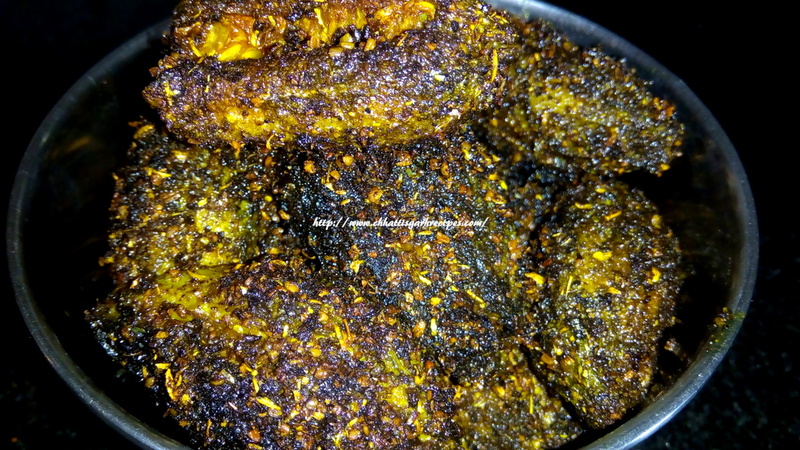 You can enjoy the authentic Chhattisgarh dish of Chunchuniya bhaji with steamed rice and daal. 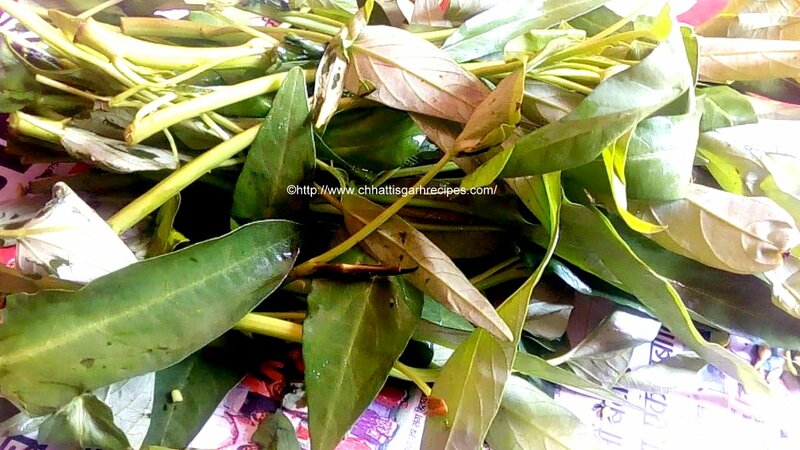 Note: Chunchuniya bhaji or Teenpaniya bhaji is one of the signature leafy preparation of Chhattisgarh.It is most naturally grown close to water body like a pond.This leaves are a very delicate but powerful source of fibre and minerals. 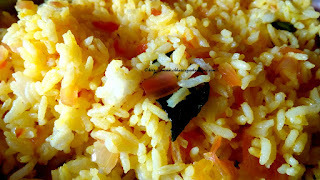 Fried rice/baghare bhaat:How to use leftover rice is the most common question in every household. 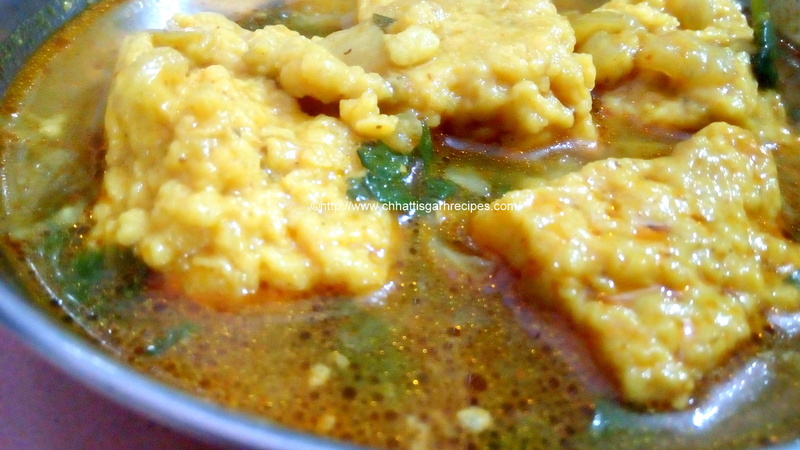 In Chhattisgarh Baghare Bhaat is the most common morning breakfast,which satisfied the taste buds and the easiest way to use the left over rice from night. 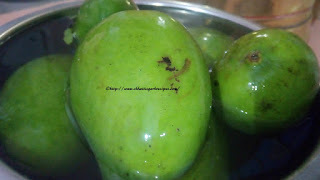 1.Cut the onion,green chilies and tomatoes. 2.Take 2-3 table spoons of oil in a pan and heat it. 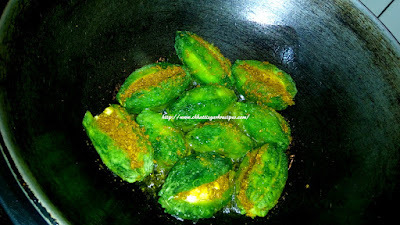 3.Add cumin seeds,green chili ,curry leaves and onion and let them fry . 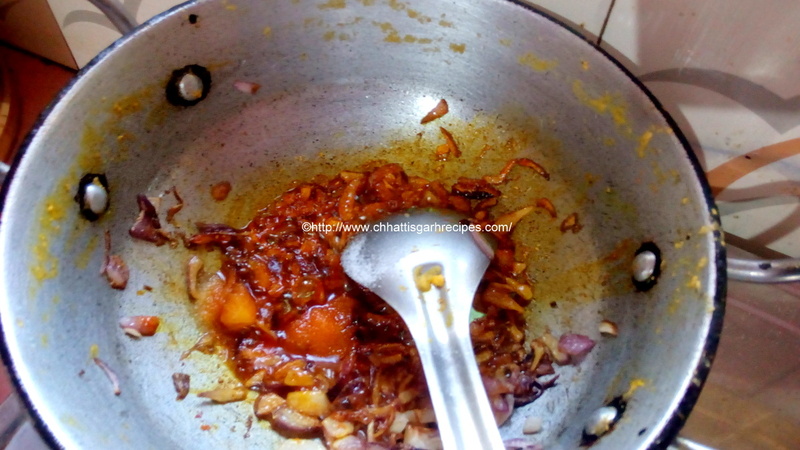 4.Once onion turning brown and soft ,add chopped tomatoes and cook them for some time in medium flame. 5.Once tomatoes are soft add salt,turmeric powder and blend them nicely. 6.Add left over cooked rice in the onion mixture and stir them gently .Leave it for some time in low flame. 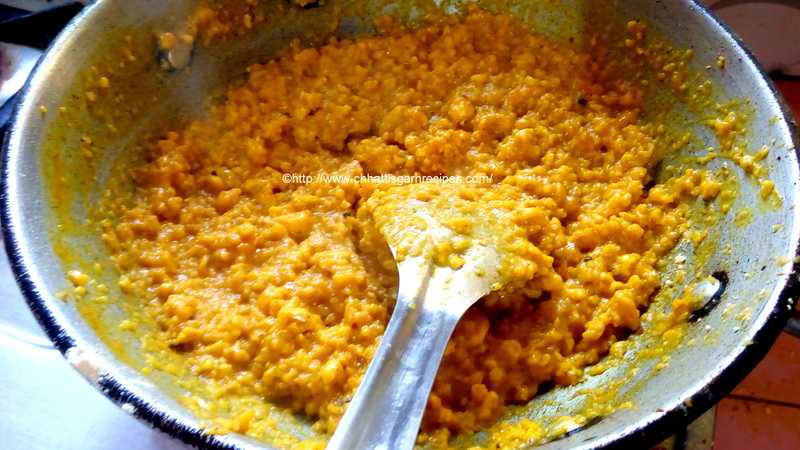 7.Fried rice or Baghara bhaat is ready to serve. Wild Amaranth is very nutritious plant . 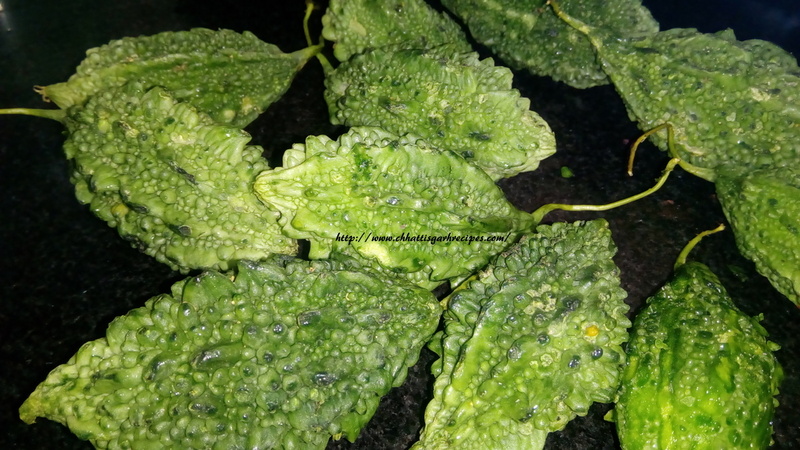 You can see them very easily among weeds.In India and some part of the world ,people cook its leaves.It mostly comes in summers so it creates the good alternate for other leafy vegetables like spinach. In Chhattisgarh people love cooking, its stem as well as roots as curry with pulses,curd or dry recipe. 1. Take a bundle of kheda (jari) and pluck all the leaves. 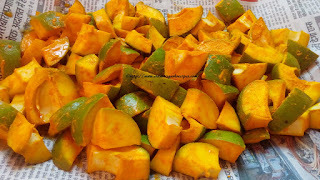 2.Now remove the rough layer of roots of kheda with the help of knife or scrapper. 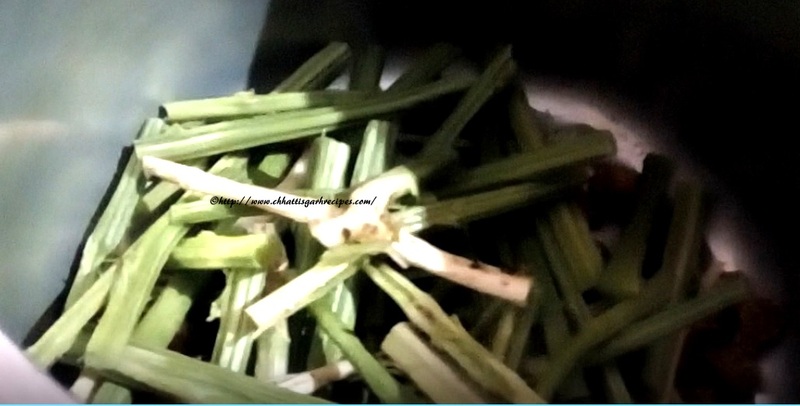 3.Once the roots are clean then cut the whole stem into the equal pieces. 4.Wash the pieces thoroughly . 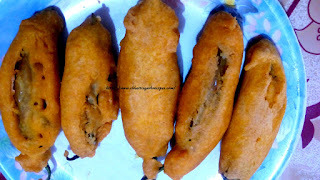 6.Take kheda (jari) pieces in a cooker with fried badi, pour little water and spread some salt on it.Now give 2-3 whistles and wait till the pressure of the cooker come down. 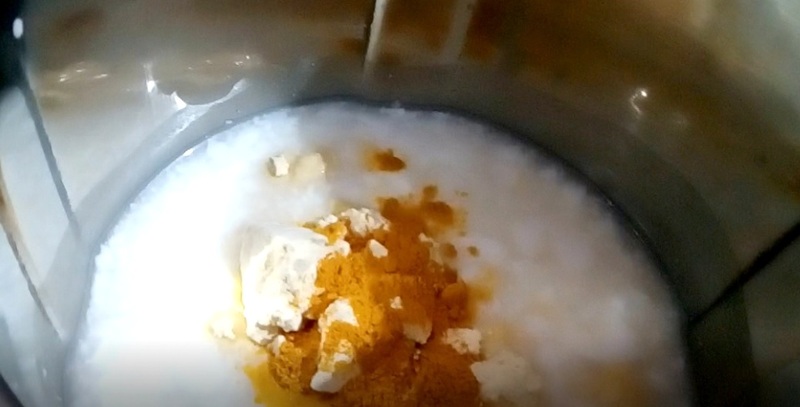 In a grinder take 500 ml curd,add 1-2 spoon gram flour ,pour some water (200ml),add coriander powder,cumin powder,turmeric,red chili powder and little salt .Now start stirring or grinding the curd so buttermilk or thinner consistency of curd gets ready . 1. 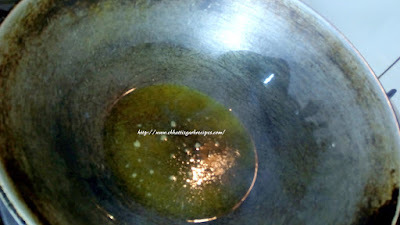 Take 2-3 table spoon oil in the pan again . 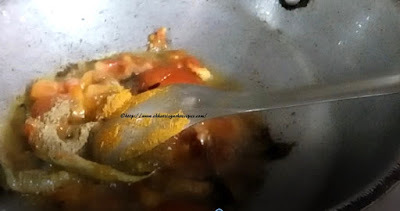 3.Mix 1 chopped tomato and add salt in the mixture. 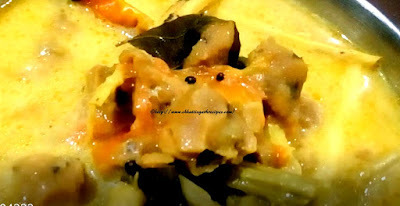 4.Let it cook for some time . Add coriander powder ,turmeric powder and little salt in it. 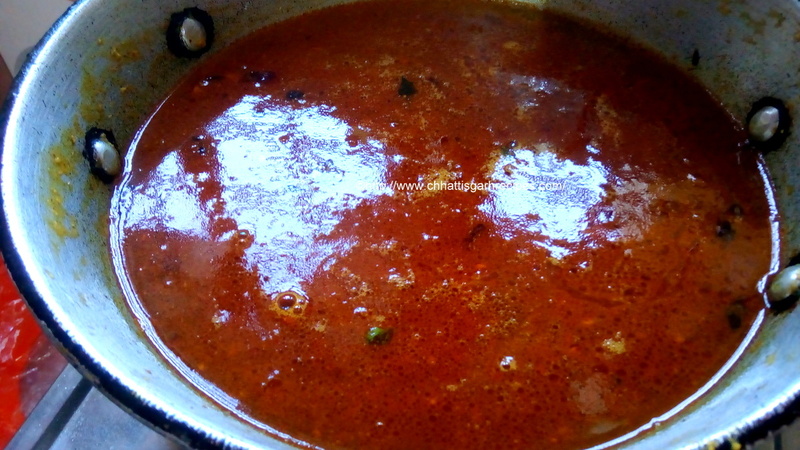 5.Once you see that tomatoes are cooked and blended with ingredients then add boiled, kheda or jari pieces(Wild Amaranth) and badi . 6. 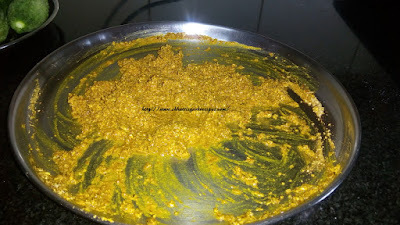 Gently stir the whole mix,cover the lid and let it cook for 5 minutes. 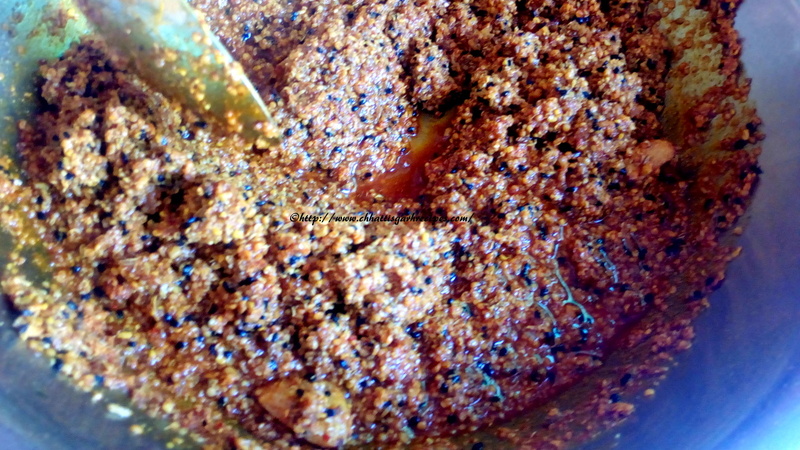 7.Slowley when kheda(Jari) and badi are nicely mix with tomatoes and other ingredients then add curd, which we have kept ready. 8.Cover the lid and let the curd reach till its boiling point.Cook for next 5-7 minutes in medium flame . 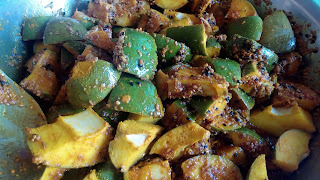 9.Switch of the flame, Kheda(Jari or wild Amaranth) with badi recipe is ready to serve with steamed rice or hot chapatis. Note: Kheda/jari or wild Amaranth is one of the nutritious plants and whole plant is used as food in Chhattisgarh.This Native American plant(https://www.gardenista.com/posts/weeds-you-can-eat-wild-amaranth/) is very popular among people of Chhattisgarh. Locally it is called Jari which means Roots.The leafy part is knows as Kheda Bhaji ,please refer the recipe in our Kheda bhaji post. 2.Now remove the rough layer of roots of kheda .Once the roots are clean then cut the whole stem into the equal pieces. 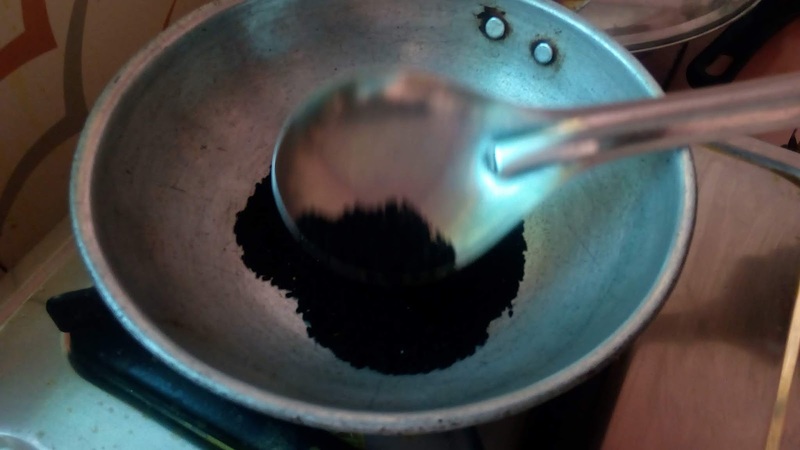 3.Fry the little quantity of gram badiyan (wadiyan) in the oil and keep it separate. 4.Take kheda (jari) pieces in a cooker with fried badi,pour little water and sprinkle some salt and give 2-3 whistles. 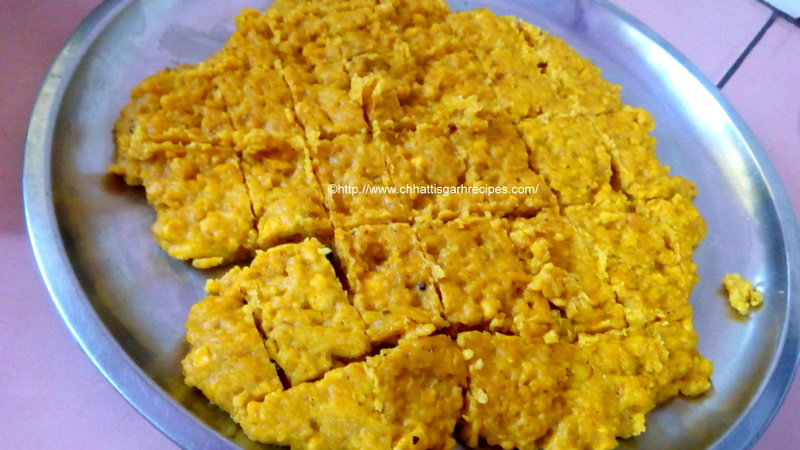 5.Take 500 ml curd,add 1-2 spoon gram flour ,pour some water (200ml),add coriander powder,cumin powder,turmeric,red chili powder, little salt and stir it or thinner consistency. 7.Add coriander powder ,turmeric powder and little salt. 8.Add boiled, kheda or jari pieces(Wild Amaranth) and badi,gently stir the whole mix,cover the lid and let it cook for 5 minutes. 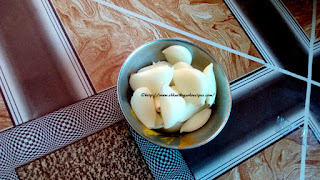 9.Add curd, which we have kept ready.Let the curd boil for sometime with the cooked vegetables. 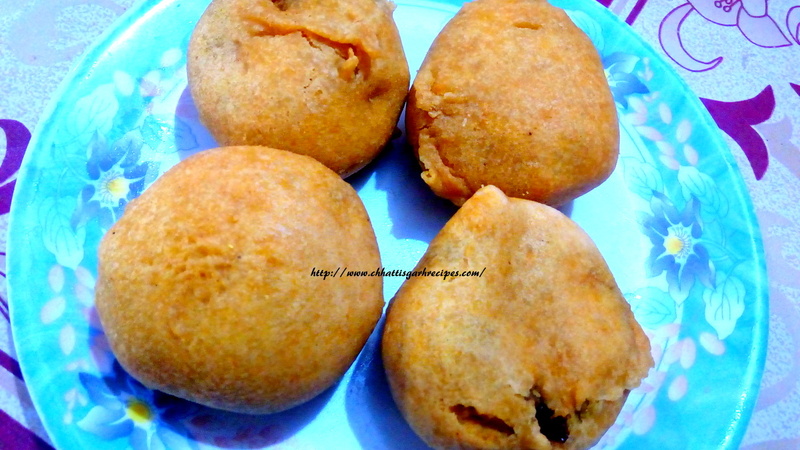 11.The kheda and badi recipe is ready to serve. नोट : खेड़ा या जरी बहुत पोषक पौधा होता है जिसका हर एक हिस्सा खाने में लाया जाता है। यह अमेरिका जैसे देशों में भी काफी प्रचलित है। खेड़ा भाजी छत्तीसगढ़ में काफी पसंद किया जाता है। जिसकी रेसेपी हमने पहले बताई है। यह जरी के नाम से भी जाना जाता है ,जिसका अर्थ होता है "जड़"